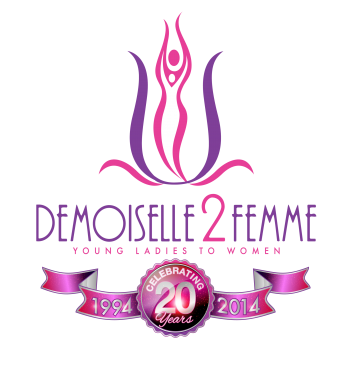 The Parent School for Success is governed by the Demoiselle 2 Femme Parent Advisory Board. The (PAB) are “Parents Supporting Parents” and are driven by a genuine passion to promote healthy and vibrant family relationships. The Parent School for Success reinforces family values through prevention education and social awareness such as; A Legacy of Health for Our Daughters which include HIV/AIDS and Diabetes symposiums. We offer education in monitoring Social Networks, Effective Parent/Child Communication skills, College Admission & Financial Aid instruction and a plethora of other parent workshops and family activities such as: bowling outings, Annual Family and Friends Picnic, Mother-daughter luncheon, and Annual Parent breakfast. Our outreach initiatives also include programming designed specifically for Dads and Father-Figures. The D.A.D.S. component of the Parent School for Success was developed to strengthen father-daughter relationships in an effort to reduce health-risk behaviors through the implementation of workshops, support group sessions, seminars, and father-daughter events that aim to address and resolve conflict, restore estranged relationships, and teach effective communication. The Parent School for Success is sensitive to the fact that 80% of the girls participating in the Demoiselle 2 Femme program do not have fathers actively involved in their lives. In an effort to support the men who provide a strong positive male presence influence for our participants, Demoiselle 2 Femme reached out to grandfathers, uncles, older brothers and other male family members. These honorable men are called “The Bodyguards” and are now included in our outreach to fathers. Male specific program and activities are offered through the Parent School for Success throughout the year, which include the infamous Soul Bowl outing, Demoiselle Date Night with Dads and Bodyguards, Sport Outings. In addition to these activities, we take pride in the male specific prevention education and workshops that are offered to Dads and Bodyguards. In a nut shell, Demoiselle 2 Femme fosters family stability and cohesiveness through the Parent School for Success which is committed to grounding the family and partnering with parents and guardians to ensure girls a successful transition to womanhood.